The Tour boots are produced in full grain cowhide: the high quality materials, combined with the eVent® membrane, ensure that they are breathable and waterproof. 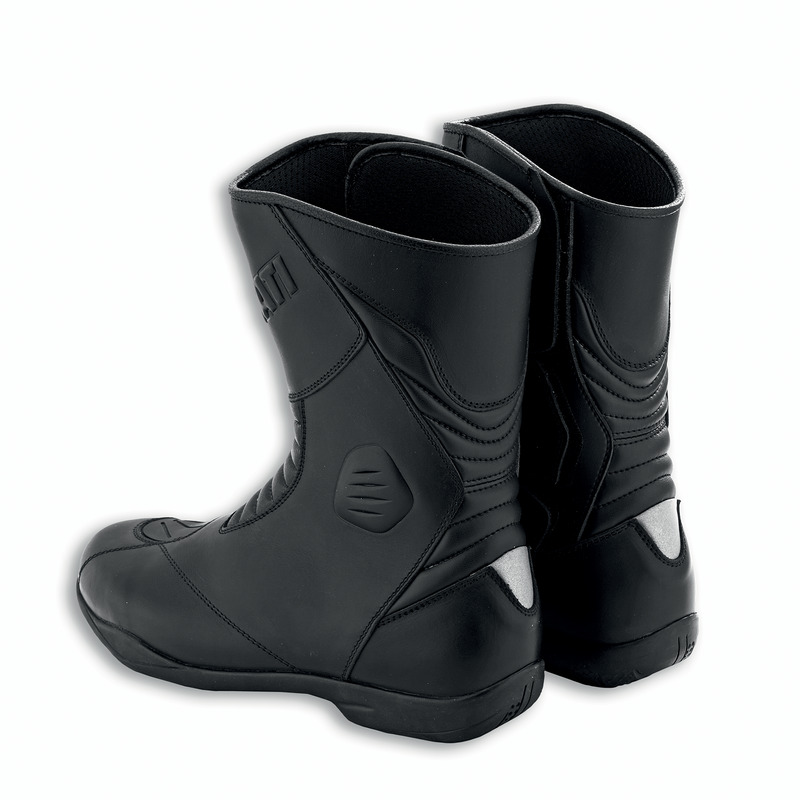 The zip and Velcro fastening and removable anatomic plantar ensure greater riding comfort, while the padded pleats that accompany foot movement give stability and improve ergonomics. 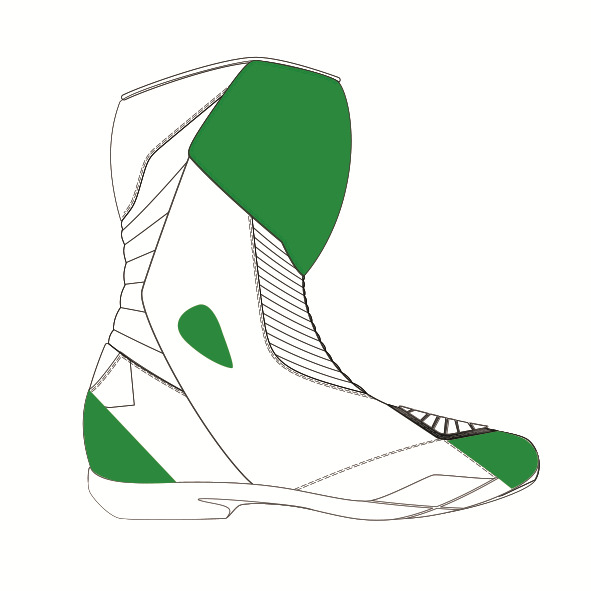 Protectors are located on the heel, malleolus, tip and tibia. 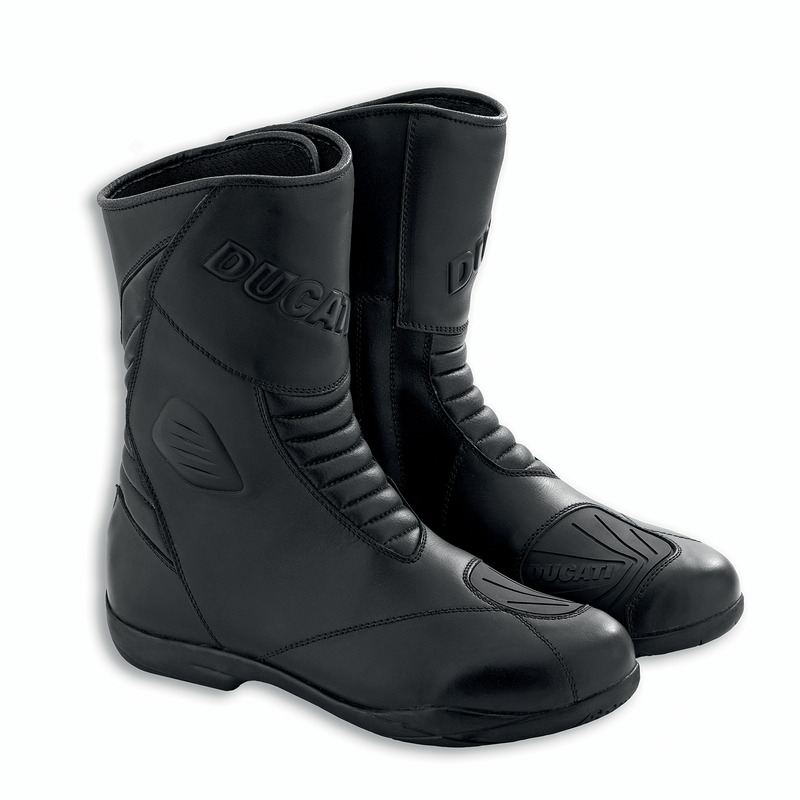 Safety takes priority also thanks to refractive inserts located on the heel, as well as the soles with specific areas of grip to ensure better traction on the footpegs.